A professor of finance with the University of Ghana Godfred Alufar Bokpin has observed that the government can do more despite its enviable macroeconomic indicators compared to its processor. According to him, a preferred standard of measuring economic performance should be Human Development Indicator, Social Progression Index, Happiness Index, among others. “Gross Domestic Product[GDP] growth is not enough. Way back in the 1930s where the whole concept of GDP growth came into being a measure of economic growth, it came with its own weaknesses but we have lived with it up to this time and that is why other indicators have been developed. 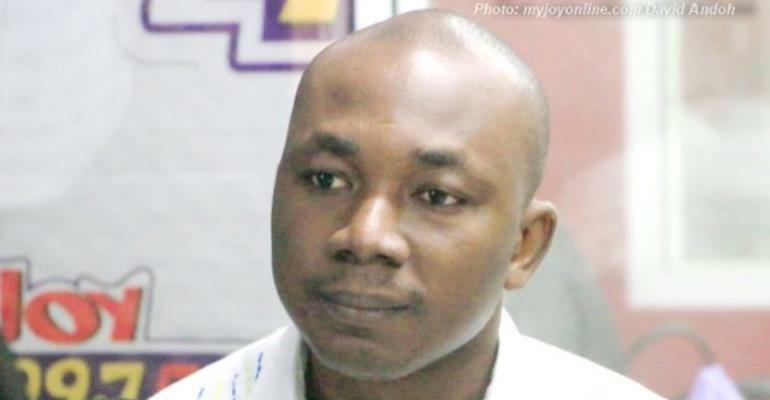 “Let us look at where we could be, and compare ourselves to our proper peers with the middle-income regime, that will be very helpful,” he told Daniel Dadzie Thursday on Joy FM’s Super Morning Show. Alufar Bokpin was speaking on the back of Wednesday’s Town Hall meeting organized by Ghana’s Economic Management Team at the Physicians and Surgeons Building in Accra. With a presentation laced with figures, graphs and illustrative gestures, the Vice president, Dr. Mahamudu Bawumia, the keynote speaker drove home the point that his government has resuscitated the dead economy bequeathed to it and has weaned it from the International Monetary Fund[IMF]. “The economy ended in 2012 with a fiscal deficit of 12.2% of GDP, 11.7% in 2013, 11.9% in 2014 before falling to 6.7% in 2015 but rose again to 9.3% in 2016. “ We recorded for the first time in Ghana’s history double-digit fiscal deficits in three consecutive years and plunged into a deep fiscal hole. Debt pileup began, debt service became burdensome on the budget, inflation soared, external trade balances worsened and the economy became more and more vulnerable to external shocks,” he recounted the gloomy economy bequeathed to his government. Contrasting this with the resurgence his government has brought to the economy, he intoned: “the ability of the economy to produce goods and services measured by real GDP growth is increasing. Growth for 2017 was 8.1%, significantly exceeding the average sub-Saharan African (SSA) growth of 2.7 percent. GDP growth remained robust in 2018, almost double the average growth in SSA,” the Vice President said to thunderous applause from the audience. He wants the government to exploit fully the potentials of the economy to the development of the people. Citing shortfalls in revenue mobilisation as a case in point, he lamented that “revenue envelope has remained dwarfed from the previous government up until now. We have more than six million people in tax paying positions but just 1.5millin people pay tax in the country,” he said. He concluded that as commendable as the recent banking cleanup was, the government must do more to free money locked up some investment portfolios such as Menzgold, and the many like it for fluidity in the economy.